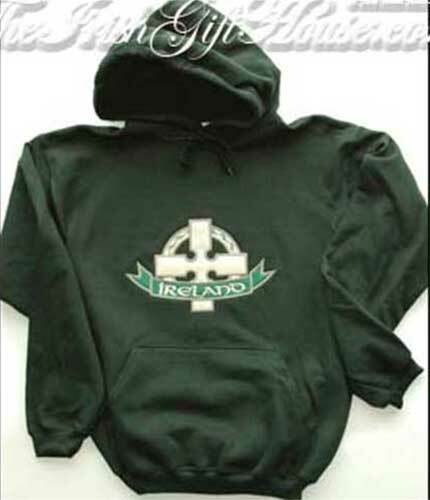 This Irish sweatshirt features a version of the Christian symbol that is known as the Saint Patrick's cross. This Celtic cross hoodie, in forest green, features a 2 piece embroidered appliqué on a heavy 80/20 cotton/poly blended hooded sweatshirt with pockets. The Irish sweatshirt is received with a Celtic cross history card, complements of The Irish Gift House.